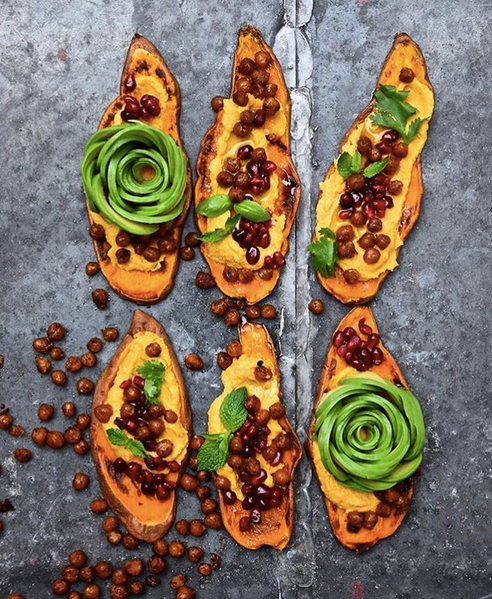 The new food trend taking Instagram by storm isn’t just bread with a filter on it, look closely and you’ll see it’s actually sweet potato ‘toast’, and *spoiler alert! *, it’s going to make your mouth water. All you have to do is cut a thick slice or two from a sweet potato, pop it into your toaster – yes, really – and that’s about it. Then top with whatever you fancy, whether that’s something sweet, like a shed load of fruit, or savoury, like classic avocado. The possibilities are endless. We’re big fans of new food trends, such as the Sirtfood diet (which includes chocolate and wine – enough said), as well as these amazing NutriBullet recipes. 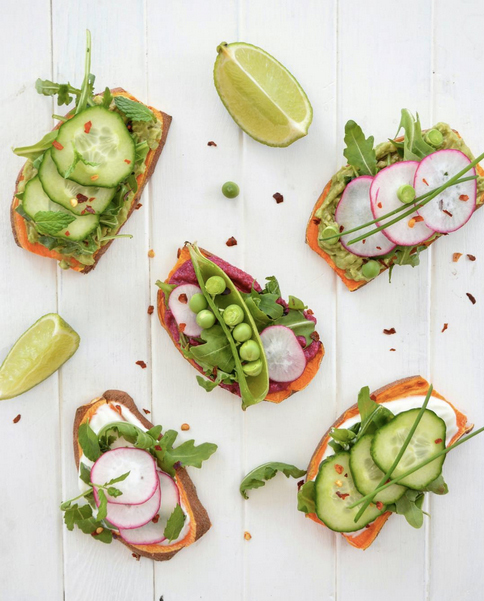 Naturally there have been some pretty creative sweet potato toast recipes uploaded to Instagram, so we’ve rounded up 10 of our favourites for you to browse. 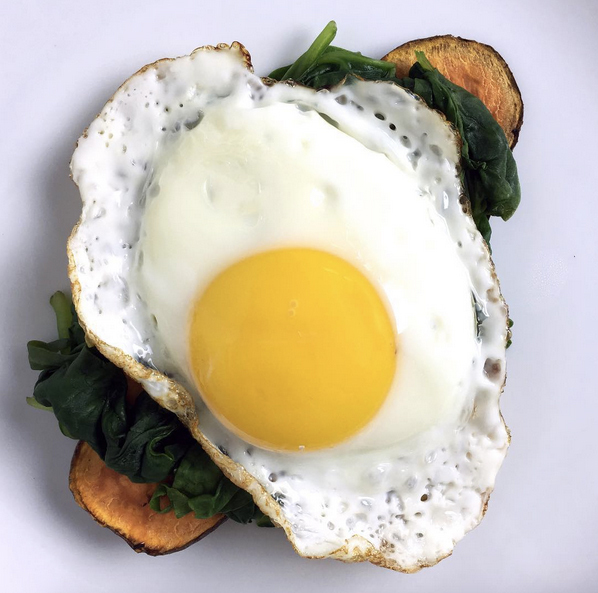 Here’s the classic combo of fried egg and wilted spinach – delicious. 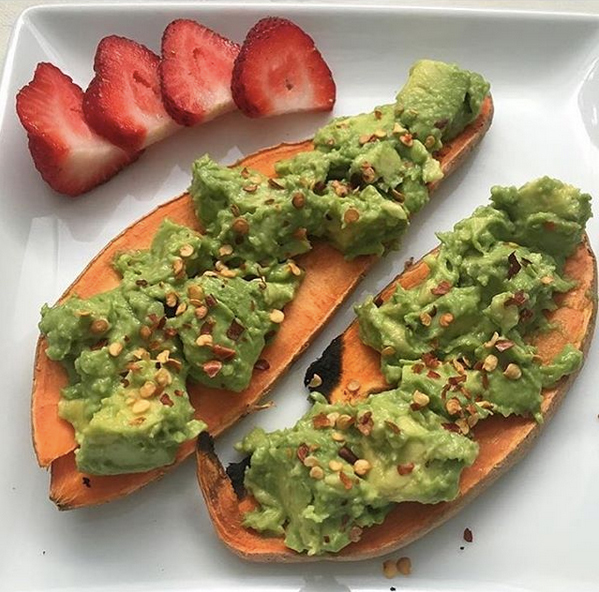 Why not liven up your regular avocado on toast by switching to sweet potato and adding some strawberries? 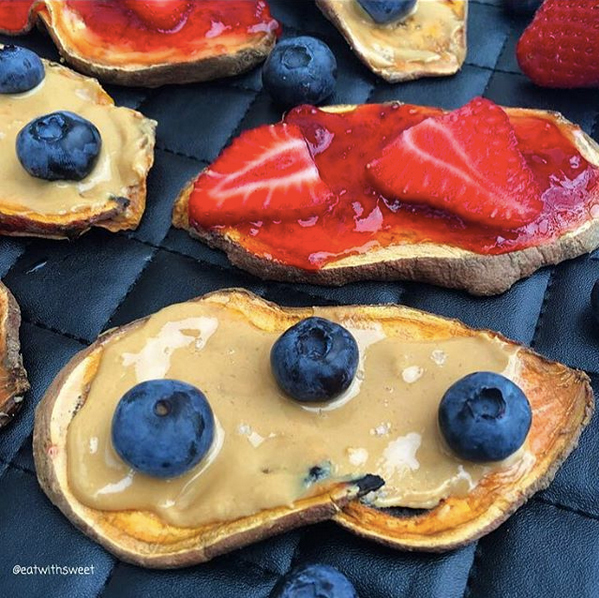 Here’s one for those who love their sweet treats: peanut butter, jam, blueberries and strawberries. A great breakfast option. These slices are topped with spicy houmous, roasted chickpeas and avocado. Anyone else feeling hungry? 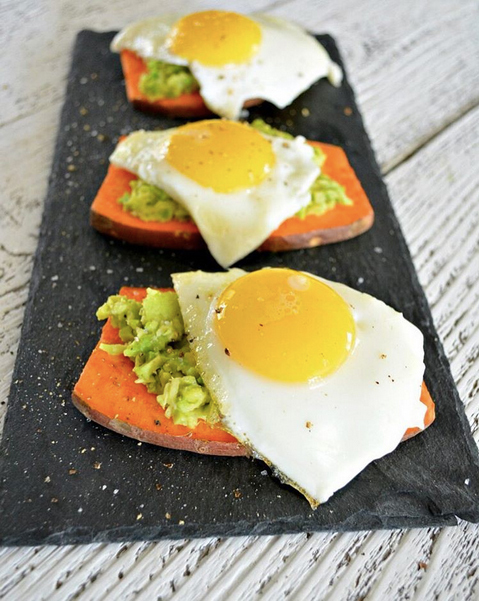 Fried egg and avocado are a match made in heaven on regular toast, so it makes sense to try it out on the sweet potato version, too. 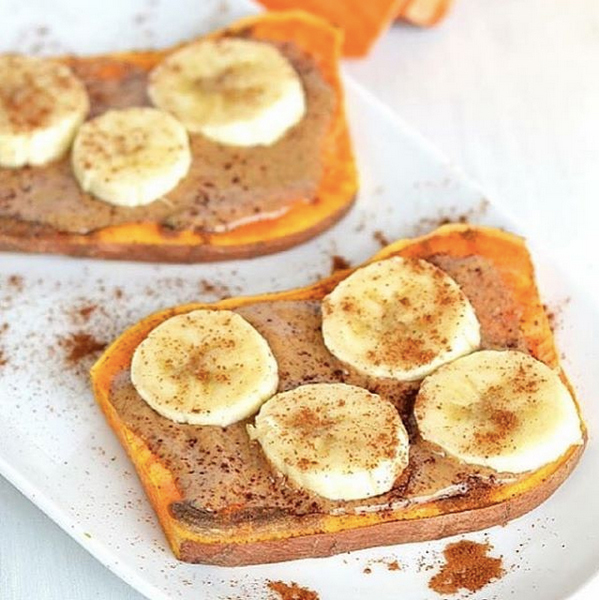 Nut butter and banana is a pretty fail safe combination, with this recipe adding a sprinkle of cinnamon on top. For a lighter lunch option, try cucumber, thin radish slices, peas and a load of leaves. So good. 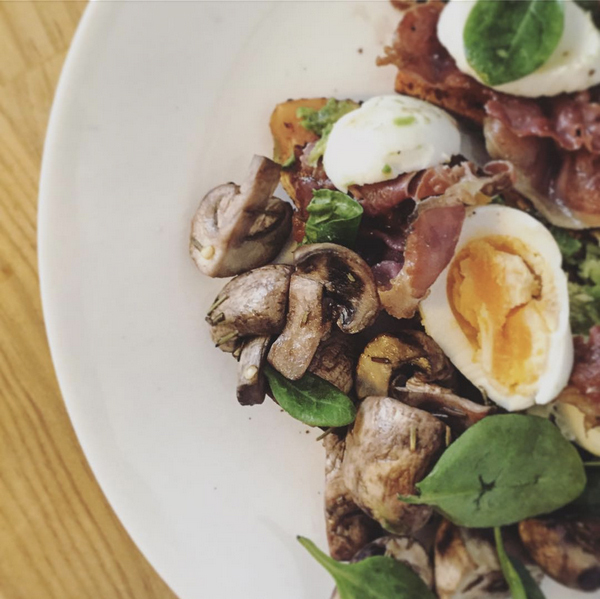 A sweet potato toast take on your classic Full English: prosciutto, boiled eggs, mushrooms and avocado. If this doesn’t set you up for the day, we don’t know what will. 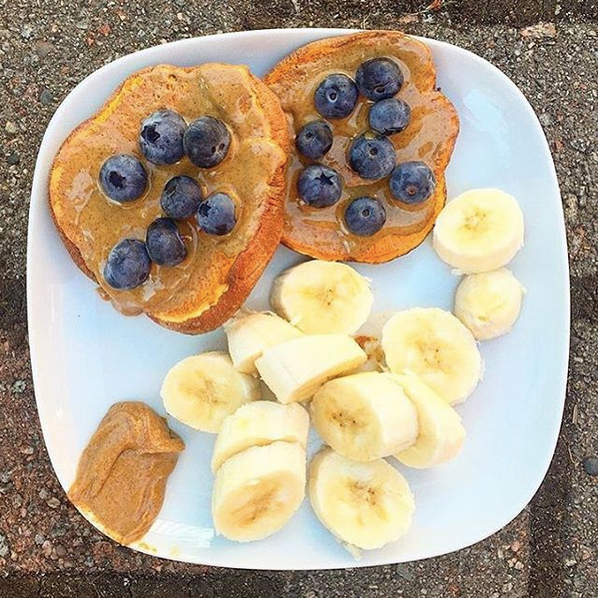 Another delicious looking breakfast, this time for those with a sweet tooth – almond butter, blueberries and bananas. A pretty exotic feast, there’s a lot going on in this recipe. 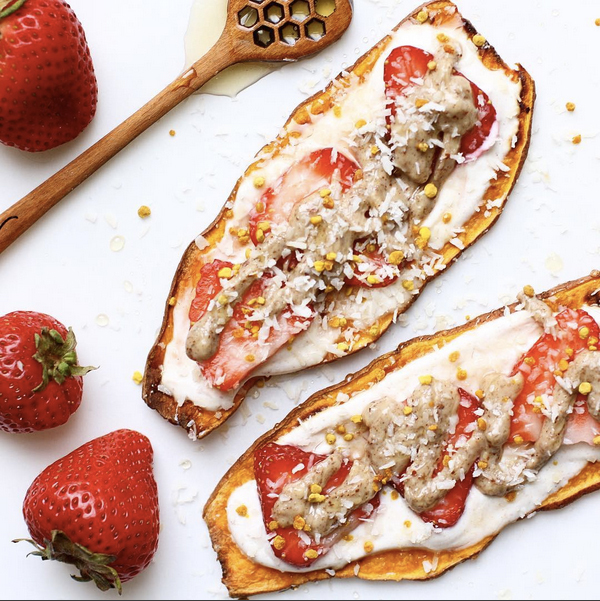 These sweet potato toast slices are topped with cinnamon-spiked Greek yoghurt, raw pecan butter, strawberries, flaked coconut and bee pollen. Mouth-watering, no? Our stomachs are rumbling already – we can’t wait to try out this new foodie trend for ourselves.